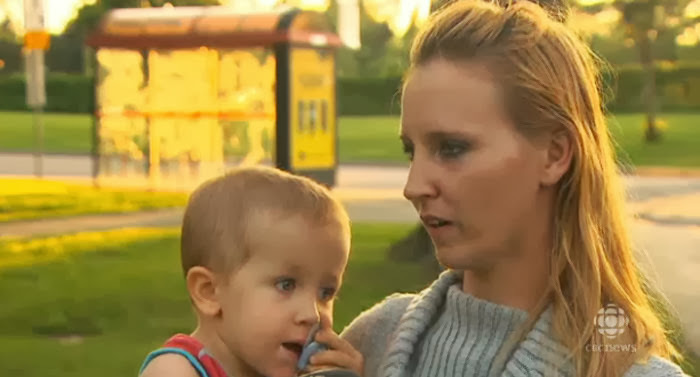 Last week, Pauline Tantost, with her two-year-old son, Xavier, in her arms, boarded a bus in Montreal, Canada. She went through her purse and pulled out a $5 bill. She said she offered it to the driver, who refused because the fare machine doesn’t accept bills. He warned her that failure to pay a fare could be bad news if the bus was to get inspected. Then the bus took off with the woman and her son on board, while she clutched the $5 in her hand. A short time later, two transit inspectors boarded the bus and ordered her off the bus and one of the inspectors handed her a ticket with a $219 fine for not paying her fare. Say what, now?